As a new quilter, I see some fabulous quilts that make me want to be a better quilter. The part that challenges me the most though is the placement of the fabrics into the block style that I have chosen. Keeping a balance of light, medium, and dark makes perfect sense to me, but how do you know what category the chosen fabrics fall into? 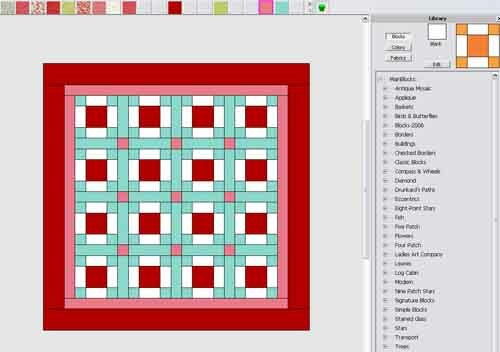 I have discovered that the quilting program included in BERNINA Embroidery Software is a perfect tool for helping learn the color values. First, I scan my fabrics into the software and save them in a designated folder … which, by the way, is an awesome feature! After loading all of the fabrics I plan to use to the palette, they appear as small fabric chips at the top of the workspace. The small chips allow me to focus on the color value and not the pattern within the fabric. Finally, I assign a similar color chip for each fabric moving from the dark, medium, and light choices until I find a color that best represents my fabric. I also separate the values, adding spaces between the colors so I can easily determine which ones are dark, medium, or light. 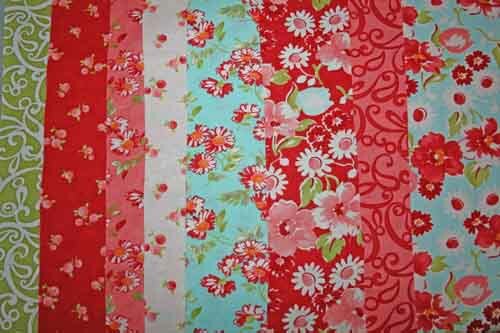 Once I have the colors selected, I then start laying out my quilt. This is a project that I have just begun and I plan to use QuiltMotion for BERNINA to complete the quilting and the new Binding Attachment #88 for the bias binding. Check back next month for a picture of the completed quilt!